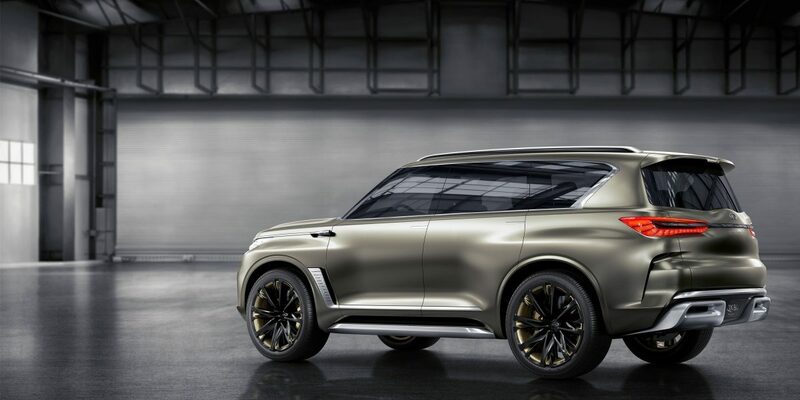 The future of luxury SUVs starts here: the QX80 Monograph. Bigger and bolder in presence. Driving progress. Like you, luxury doesn’t stand still. It’s why we’re always seeking to define a more purposeful experience of it. The QX80 Monograph is your next generation SUV. A more commanding expression of luxury that takes you beyond. 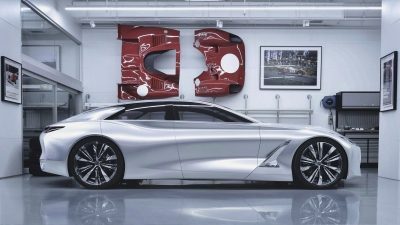 We’ve taken INFINITI’s masterful design and maxed it. So that every last detail of the QX80 Monograph isn’t just designed to perform, it’s destined to command. 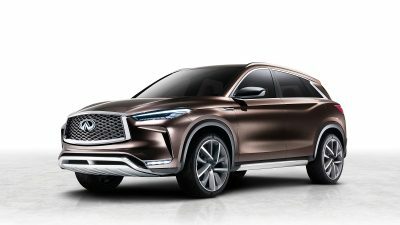 new face of the SUV. Higher, slimmer, sharper, more responsive. 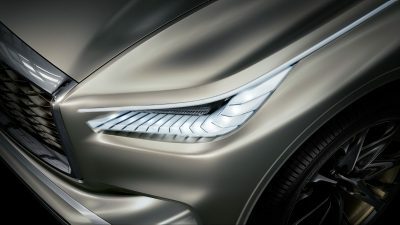 Advancing our hallmark headlamps to amplify on-the-road artistry. Straight-spoke, two-tone, 24-inch wheels upscaled to the look of a 26-inch. Strengthening your command of the road at every turn. 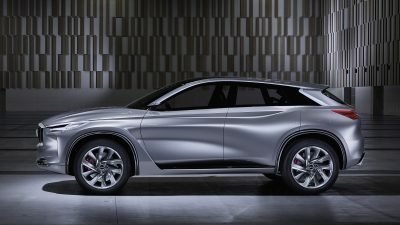 Pushing the limits of SUV design. Breaking boundaries, detail after detail. 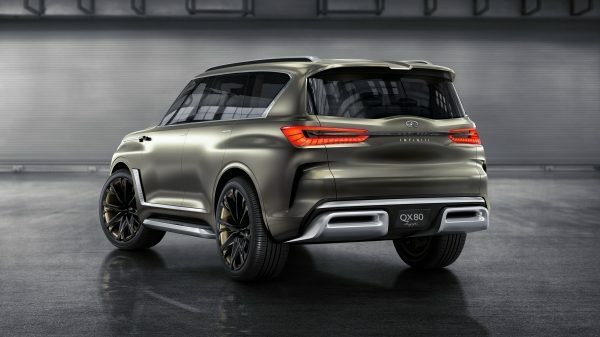 The QX80 Monograph evolution. Where will you take it? Where solidity meets sculpture. Where intelligence meets artistry. The QX80 Monograph amplifies space, purpose and luxury to progress what’s possible in the SUV. 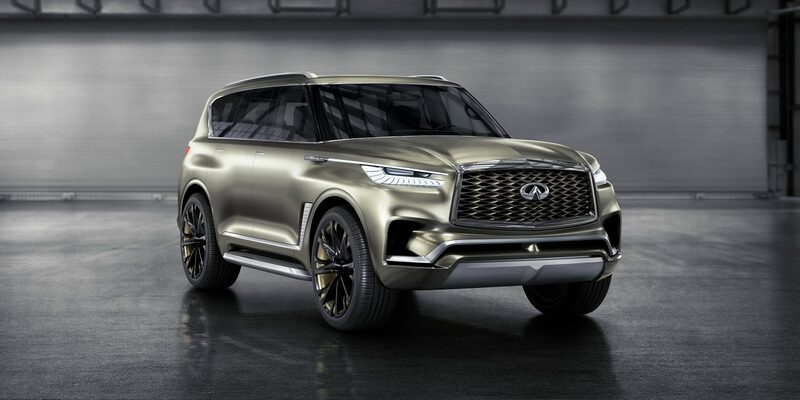 "QX80 Monograph shows our concept of luxury and style on the road, and is an exploration into how we could enhance our future INFINITI offering in the luxury SUV segment." A strikingly refined angular bumper. 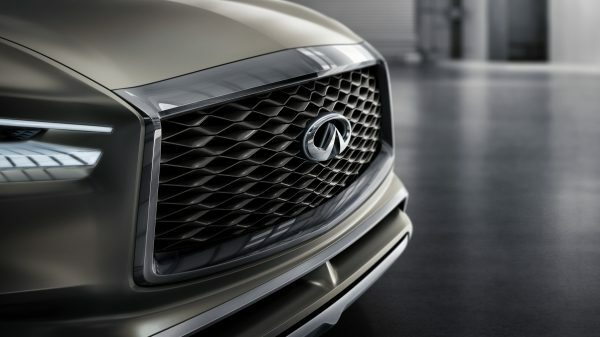 A boldly sculptural double-arch grille. 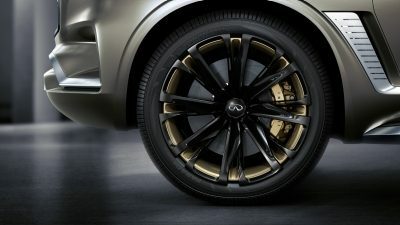 We’ve amped up INFINITI’s signature design attributes in the QX80 Monograph to empower your drive. But the real thrill of this – and every – SUV’s future? It’s your canvas to command. Personalize the design. Make your own statement. You’re the road ahead. The premium active crossover tuned for urban driving. The body of a crossover and the soul of a coupe, QX50 combines fast with nimble. Premium versatility expressed in exclusive QX60 features and an immensely powerful engine. 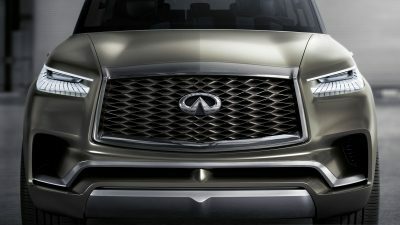 The original sport-crossover, QX70 has the bones and muscle of an athlete with the enhanced capability to match. Commanding capabilities coupled with undeniable presence, this vehicle offers first-class travel no matter the destination.